Inspired by and updating the Carl Sagan landmark, Cosmos is hosted by Sagan protégé and everyone’s favourite and sexiest (there was a vote) astrophysicist Neill Degrasse Tyson. The subject of this Seth MacFarlane produced documentary is nothing less than the multiverse. As such, you may find your head spinning from the mass and seeming randomness of the content. After all, trying to cram 13.8 billion years of the universe into 13 hours of screen time is surely breaking some kind of scientific law, regardless of how relative time and space is. Explaining large concepts in striking visual language, it features digital imagery to show the universe in all its infinite splendour, and this contrasts with the animation used to present human history. It is through this human exploration of the cosmos, through the lives of Issac Newton, Edmond Haley, Giordano Bruno, and Albert Einstein that the grandeur is reigned in. But the universe is not simplified, but exemplified through this approach, with the visual majesty of the night sky becoming the grandeur of the cosmos. Enthused by Tyson’s passion and knowledge and MacFarlane’s production, Cosmos: A Spacetime Odyssey is as brilliant and awe-inspiring as the multiverse it presents. This book explains to us that busyness isn’t always essential. Tony Crabbe relies on psychological research and examples to deal with busyness in today’s world. He debunks the myth that you need to get everything done to feel content. To function better and to achieve more. Tony talks about the positive to negative ratios, the Losada ratio which is very interesting. It is the number of positive to negative comments ratio 5 : 1 to predict strong healthy marriages or exchanges. Also the concept of’ happy attacks’ is novel. This is an anthology of pieces originally published in The New Yorker magazine during the 1940s, featuring pieces by some of the twentieth century’s preeminent writers. Divided into seven sections, the text comprises character studies, writings about World War II, scenes from American life, reviews of books, film, music, and theatre, and original poetry and short stories. For a lit geek like me the first section devoured was the literary reviews. Of particular interest are reviews of T.S. Eliot’s “Notes Towards the Definition of Culture” by fellow poet W.H. Auden, a review of Orwell’s Nineteen Eighty-Four, as well as Orwell’s review of Graham Greene’s The Heart of the Matter There are also numerous notes and comments throughout by E.B. White, who was a long time contributor to the publication. The character studies include Eleanor Roosevelt, Duke Ellington, Albert Einstein, and Norman Mailer, with their unifier being their influence during the decade. The sections dedicated to original poetry and short stories features writers like Auden, Vladimir Nabokov, and V.S. Pritchett. The star of that section is Shirley Jackson’s breakout story “The Lottery” which caused outrage when first published and marked a new era of horror writing. This volume provides considerable interest and delight. The greatest surprise is the mix of names and styles, defining and characterising the decade while also fleshing out its many streams of thought and life, preventing it from falling into a simple stereotype of the era. 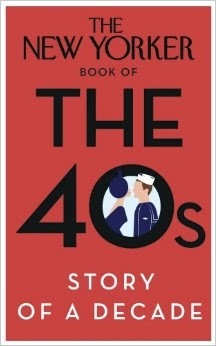 The New Yorker Book of the 40s is great for casual reading and even better for getting lost in the past. A leading voice in South African literature and a strong critic of the Apartheid era (he was the first Afrikaans novelists to have a work banned), André Brink passed away in February this year, and Philida was his last published novel before passing. 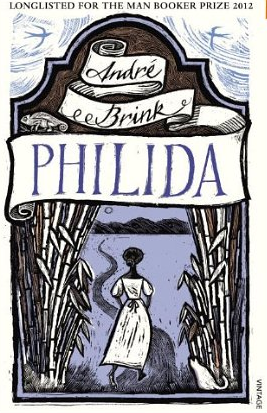 Philida is a slave who takes advantage of new laws that, amoung other things, allow slaves to file complaints against their masters in 19th century South Africa. Her complaint involves Francois Gerhard Jacob Brink, her master’s son, to whom she bore four children, and who promised her freedom and shoes—the sign that distinguishes slaves and animals from people. But in a land where tradition weaves ownership and cruelty, new laws are simply flies buzzing around an open wound. The various tellers of the tale include Philida, Francios, his father Cornelius, and Petronella, a freed slave still living on the Brink farm. Biblical parables, family lineage, and folklore are knitted, stretched, and crumpled together in this tale where the fabric of South Africa's future without slavery is interrogated, with the results as brutal as the traditions. Lea Michelle one of the stars of Glee-Rachel Berry, reveals lessons and life advice that have worked for her from meal plans and delicious recipes to being under the spotlight and on the red carpet.The book is filled with colourful pictures of Lea at different stages in life and throughout her career.